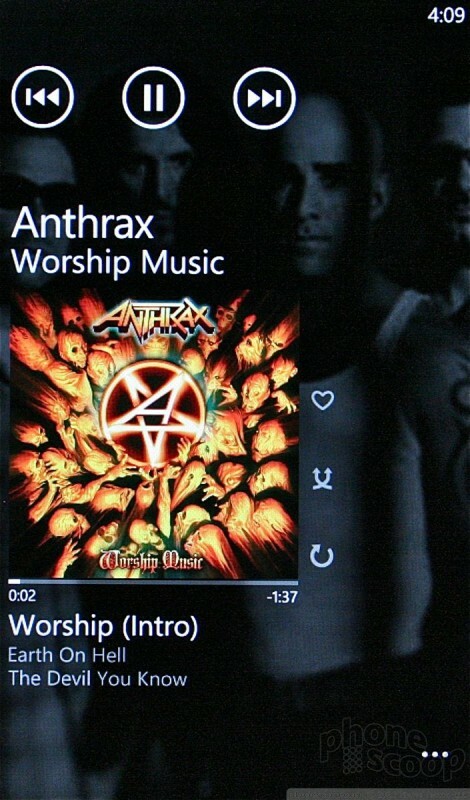 The music app is called the Zune player, and it's so interactive and graphically rich that it's great to use. The media player interface itself is easy to navigate and use, and the on-screen controls make controlling your tunes easy. This is one place where Mango's App Connect* concept really comes to the fore. 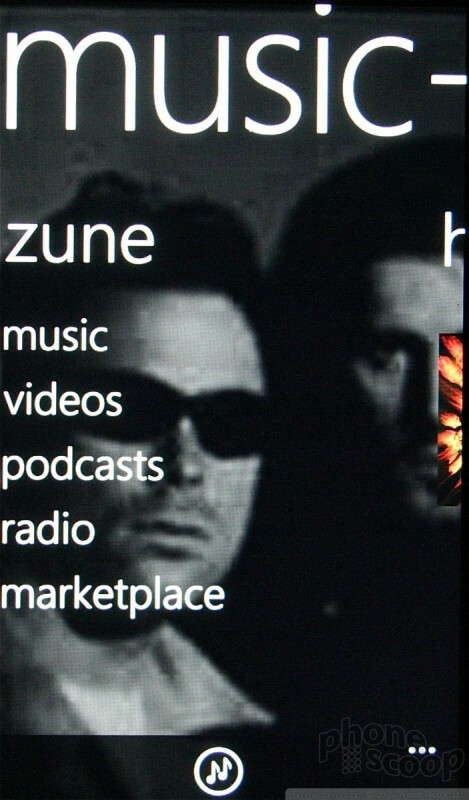 In the Music and Video Hub, for example, you have access to your music, the Zune Music store, and the FM radio, just as before. Now, however, you'll also see any other music/video apps you've installed on the device, such as Slacker, Vevo, Pandora, etc. 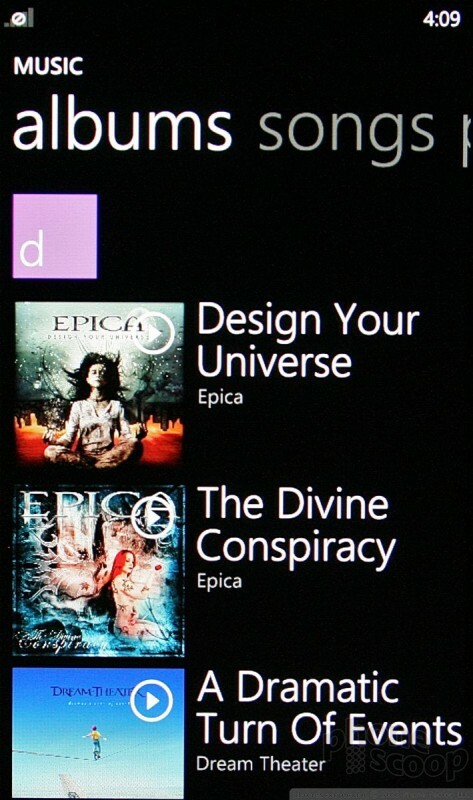 Before, these third-party apps were only available from the main app menu. Now they are accessed directly in the Music and Video Hub. *App Connect works with Marketplace, so results include both apps already on the phone and new apps that can be downloaded should the user so wish. As far as multitasking is concerned, tap the home button to return to the Start screen. 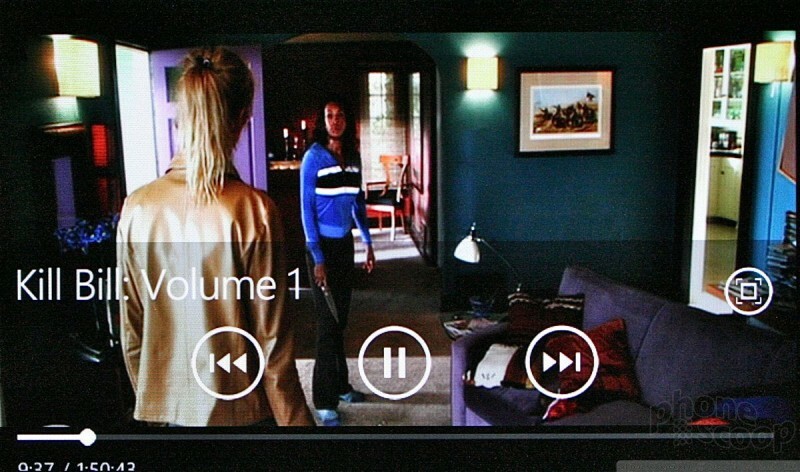 The media player controls will float at the top of the screen for a moment before disappearing. The controls will return with a tap of the screen. Pretty much everything I said about the music experience applies to the video experience, as well, since they are part of the same Hub. HTC has done its best to supplement this with some of its own software. 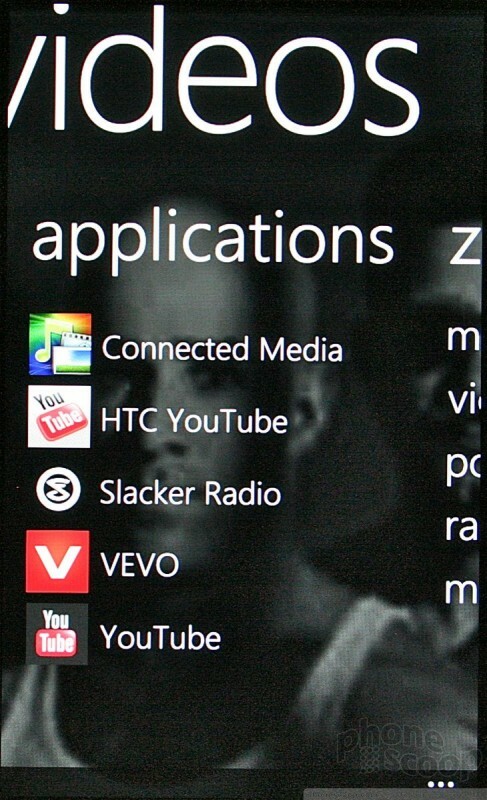 First, it has created its own YouTube application that far outclasses the official one available from Google. It has also installed a Mango version of its HTC Watch application, which lets you rent/buy movies directly from the device. This application requires a credit card, and doesn't support carrier billing (at least, not yet). The selection of movies is pretty good. Using the Mac syncing tool, I was easily able to sideload movies and watch them in the native video player. The huge screen makes viewing movies awesome.